As a means to achieve financial security, we always seek what would offer us a consistent source of income beside our full time jobs. It is embedded in our nature, and leasing properties has almost become a synonym of financial security. 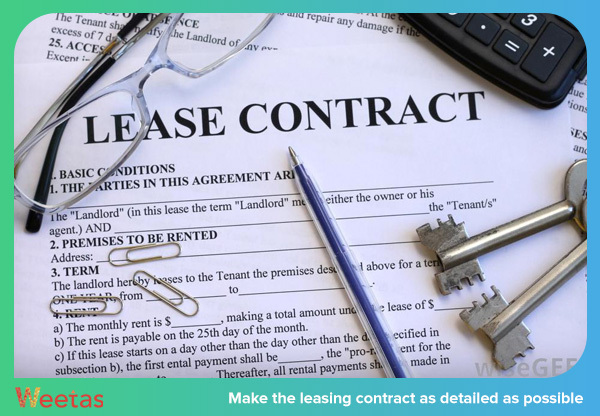 However, like all the other investments, leasing real estate can be hectic and troublesome for a few reasons, the most recurring of which is not knowing how to deal with bad tenants. As much as you would hope that it will never happen, your property is bound to be leased to one or more abusive tenant. The real problem is that the damage they leave might very well be a lasting damage that can take a lot of time, effort and money that you cannot afford to fix it. Dealing with such a hassle is certainly not an easy or a desired activity; however, there are some tips and advices that will help you know how to deal with bad tenants. This would seem like we are bringing out the obvious, but acquiring a security deposit from the tenant is necessary as a protection and a backup plan for the landlord in case the tenant abused any of the laws or rules enlisted in the contract. This might make you seem obsessed with details, but it is always much better to be safe than sorry. If you are not experienced with the matter, hire a professional specialist if needed to assist you with the format of the contract to ensure that it includes all the terms and conditions that need to be listed. You need to have all the possible breaches enlisted in the contract along with their consequences. Do not assume that some terms and conditions should be a given. If a rule is not incorporated in the contracted, then its value in reality is null and you will not be able to enforce it should the tenant break it. This advice can be applied to any transaction of any sorts you would take a place in, but its importance increases tenfold when it comes to real estate and properties. The most recurring issue some landlords would face is how some tenants would delay or avoid paying the monthly rent of the property on its due date. 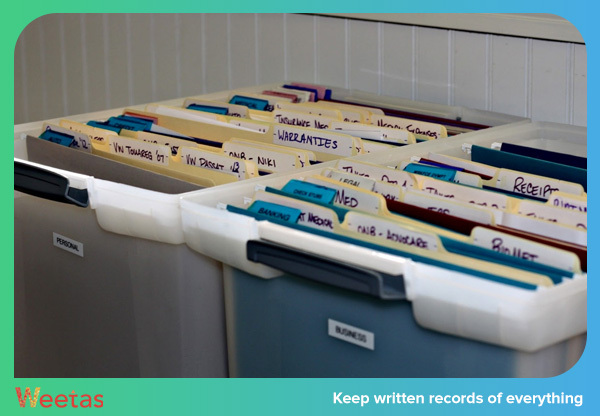 Thus, we cannot stress enough how crucial it is to keep a written record of all of your transactions you become involved in along with the tenant. Another important advice is to stop every now and then to check the status of your property to ensure that the tenant is not breaking any laws or causing any damage. This way, even if something happened, you will be able to deal with it in time. There will always be potential bad tenants; and while screening them might not be perfectly effective, it certainly is a necessity you cannot afford to ignore. Have a brief informal interview with the tenant to try to dig deeper into what kind of tenant he would be, this will help you filter out a lot of tenants who would do your property and investment more harm than good. There is no shame in seeking the help of the professionals when you are not experienced in what you are dealing with, especially when it comes to a property you have probably invested all your savings in. By definition, a property manager’s experience usually includes knowing how to deal with bad tenants in an effective way. If you can afford hiring one, do not hesitate to find yourself an experienced professional property manager to avoid many of the hassles accompanied with being a landlord. Now that you have taken your precautions, this should minimize the possible troubles you might run into. However, you can never be careful enough to avoid all the possible troubles. As we mentioned before, the most common and repetitive issue you will face as a landlord is the tenants who pay you late or do not pay at all. The tenants’ reasons for not paying the rent on time are almost infinite that could range from having a bad memory to going through rough times and being financially incapable of affording the rent. And more often than not, you find yourself unable to tell whether they are being honest or not, especially if that happened in the first months of their contract period. So how to deal with this issue? Communication is the keyword here. There are some general basic guidelines to follow here. For starters, give the tenants’ the benefit of the doubt because, after all, we all go through rough times where we would struggle with high financial incapability so maybe that is the case here. 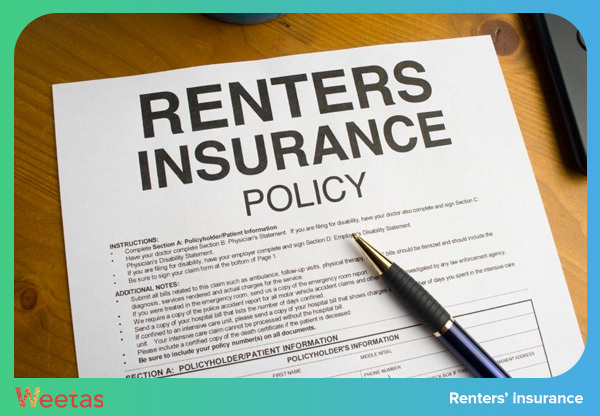 If this is the first time for the tenant to miss the due date for paying the rent, communicate the issue and make sure they provide you with a specific date or at least a time range during which they would be able to pay the amount due. There is no fixed number of extra days – except for any grace period enlisted in the contract -to grant the tenant in such cases. This duration depends on many factors that include your financial history with the tenant (how consistent or inconsistent he has been with paying the rent on time) and how willing you are to go through the month without your second source of income. No matter what the arrangement you reach with him is, make the timeline for escalating the issue crystal clear for the tenant (For example: after one week you would send the first alert, send the second alert after two weeks, evict the tenant if the amount was not received within three weeks). This second type is not less dangerous than the first one. Those tenants pay the rent on time, but they would not mind breaking some laws (for example, you might not want any pets residing in your property at any point of time) or damaging some of the property’s contents. So how to deal with that issue? Well, this is not very different from the first case. 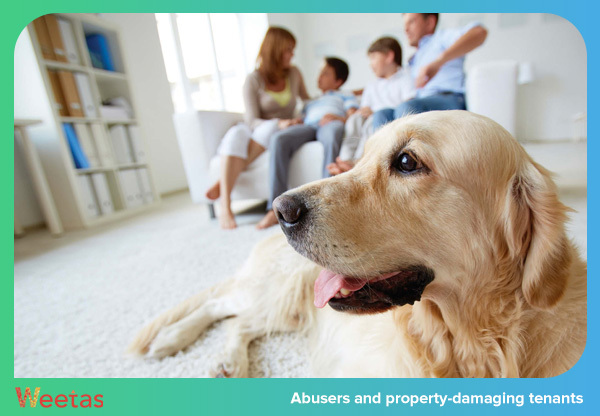 Communicate with the tenant and address the issue directly; Depending on your assessment of the damage done, you could either warn them, add a special addendum to the contract to allow them to have a pet for example – if you believe it is not a big deal – or evict them if the violation is too severe for you. If you are leasing your property to a group of people, this can be a plus; you can ask them to influence the abusive tenant to stop violating the rules. Finally, there is no perfect way to totally avoid leasing your property to the wrong person. However, taking some precautions and learning how to deal with bad tenants will help keep your investment a win rather than a loss of your savings.